Children's Computer Game Maxi Poster: It's time to remember 'The Legend of Zelda'. 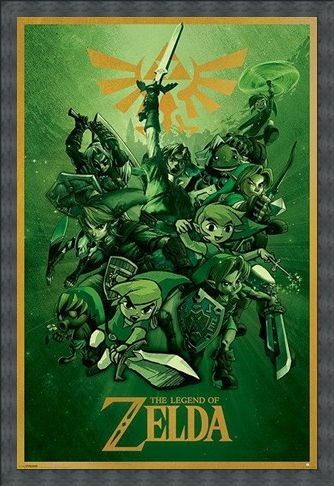 This fantasy action-adventure game, developed and published by Nintendo, is a mixture of action, adventure and puzzle solving. 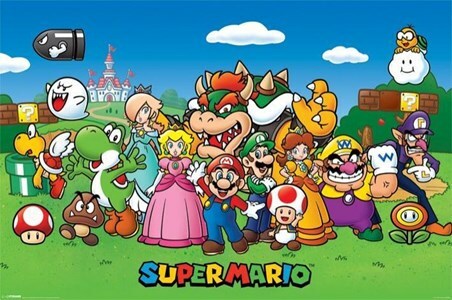 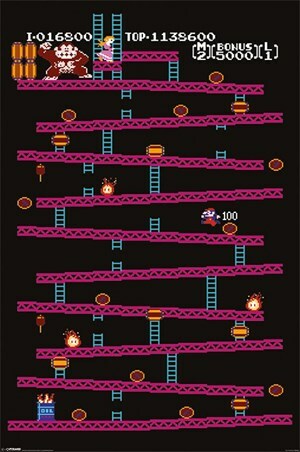 It was a commercial success, and is one of Nintendo's most popular franchises to date. 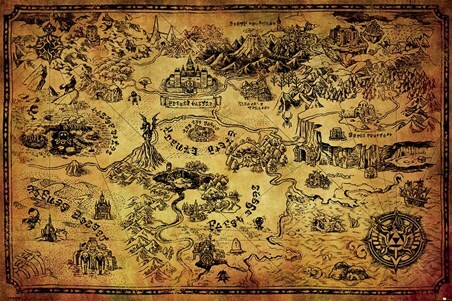 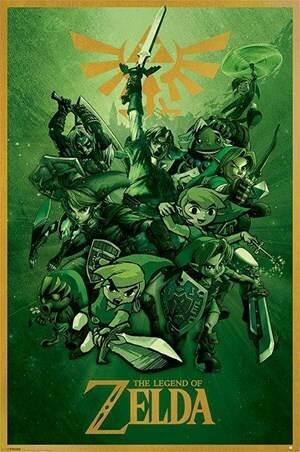 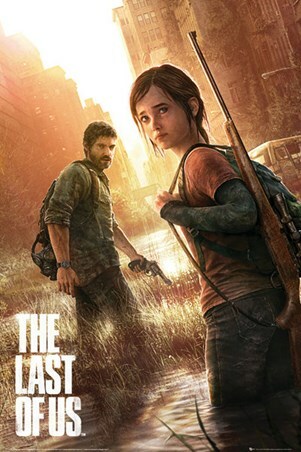 This poster features the characters from the video game, clutching weapons such as swords and bows and arrows as they try to claim victory. Let the legend continue by hanging this awesome poster high on your wall. 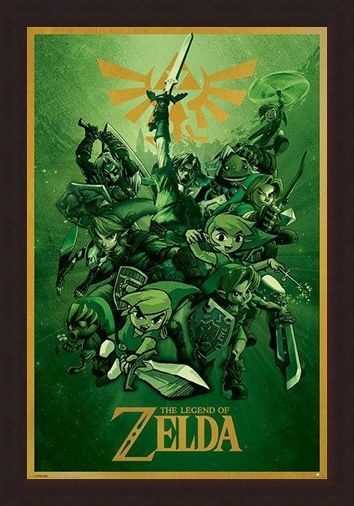 High quality, framed The Legend Of Zelda, Nintendo poster with a bespoke frame by our custom framing service.